Roll your sleeves up gals, the W'menswear fieldwork suit is made for getting your hands dirty. 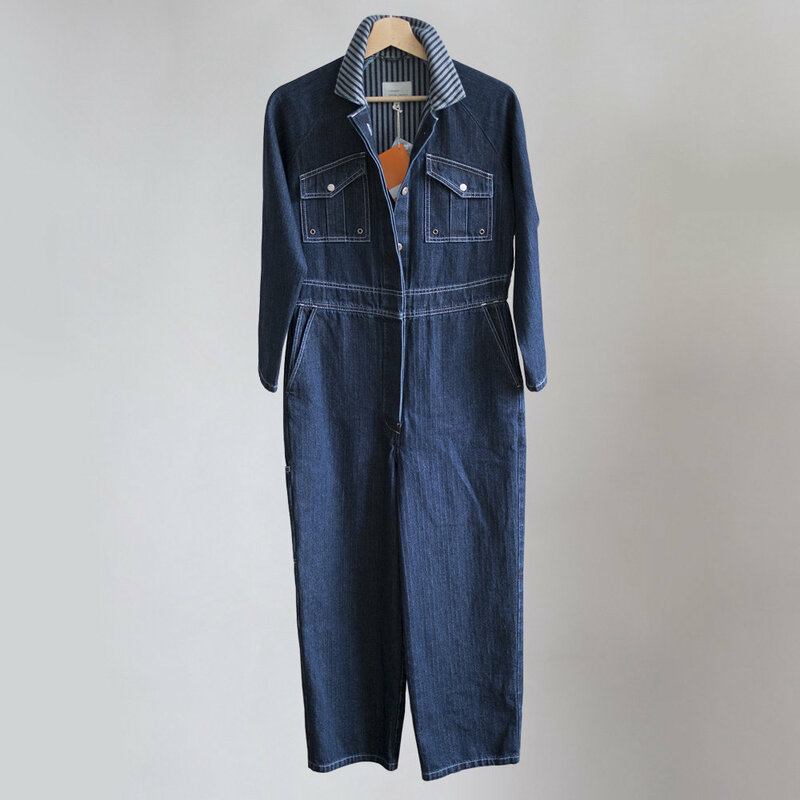 This double faced Japanese herringbone denim coverall is perfect to slip over your clothes or to be worn on its own, with doubled and lined pockets, tacked at every join for durability. The fabric has been woven specially in Okayama, Japan's denim capital, so that both sides of the fabric have a unique herringbone design. That means extra rad cuffs when you roll them up! Our model Apurna is 174cm tall and wears a size 10.